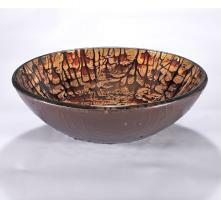 This round double layer tempered glass sink vessel has a bold mountain like design on the interior with the outline in a light brown tone. 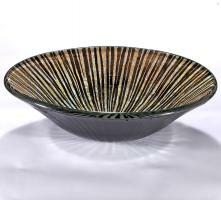 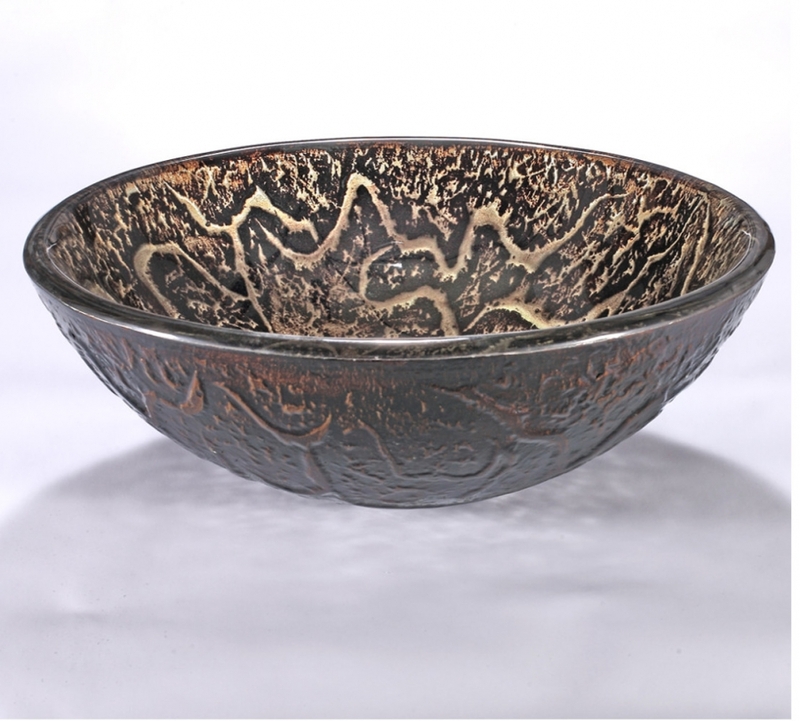 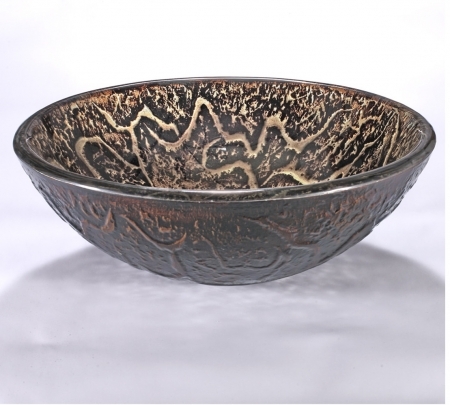 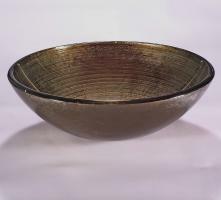 The same style pattern is featured on the outside of the bowl but with a solid black color. 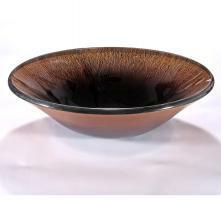 This piece will make a handsome addition to the bathroom.